As one of the earliest properties pioneered north of the twenty-sixth parallel in the Roebourne district of the Pilbara, Karratha Station harbours a fascinating history. The 120,000 hectares, with its sixty-five kilometres of coastal boundary, was utopia to the Leslie family who lived there from 1929-1966, and the aboriginal community with whom they shared their lives. Cyclones brought elimination, drought and fire brought devastation, WWII brought deprivation, an atomic explosion nearby brought anxiety. But in a physically challenging climate the joy of rain, music laughter and working the land they loved brought reward. Adults formed Tish's world, Aboriginal children were her companions, animals her soulmates. 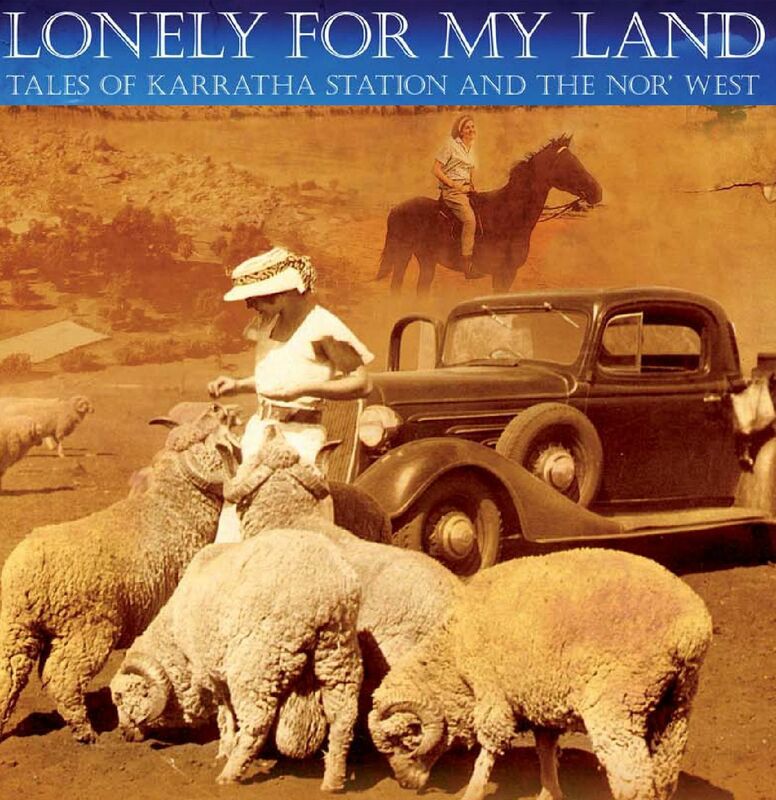 In Lonely for my land, Tish Lees' captivating narrative brings to life an era and area of the outback prior to industrialisation. Since then, mining has reshaped the Pilbara District of Western Australia. Woven through this story is admiration for my parents, respect for the indigenous people with whom I associated, and the intense loss when my home, Karratha Station was sold. My parents, Bill and Normie Leslie, began their life on that station with few amenities but abundant faith. Their years of hardship and work interspersed with fun and laughter provided a comfortable livelihood and lifestyle. I recall life as a bush kid through anecdotes, historical events and stories. Some confirmed from an extensive collection of photographs, home movies, station ledgers and journals in my possession. These are unique for the history, the time and place of the Australia they portray. you can have your own signed copy of Lonlely for my Land.